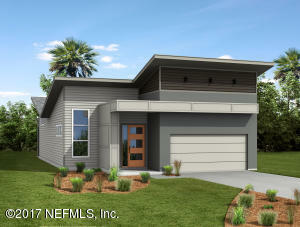 Featuring greenbuild certified and energy star rated TERRAWISE HOMES located in the new community of Cedarbrook. Our homes feature stained concrete floors, smooth ceilings and walls, 8 ft doors, covered porches with 8' 3 panel cascading sliders, 42'' cabinets, large islands and granite countertops. Our energy star rated homes featuring spray foam insulation throughout entire house and roof, double Low E argon gas windows, highest energy efficient AC, hybrid water heater will save you 50 to 55% in your monthly electric bill compared to other newly constructed homes! Add our solar option and receive as low as a 0.00 electric bill each month! Builder pays 2% of closing costs with preferred lender. Photos may reflect features and options not included in the listed price. Other plans available. This home has been on the market since Feb 19,2018. Courtesy of LMH REALTY LLC.